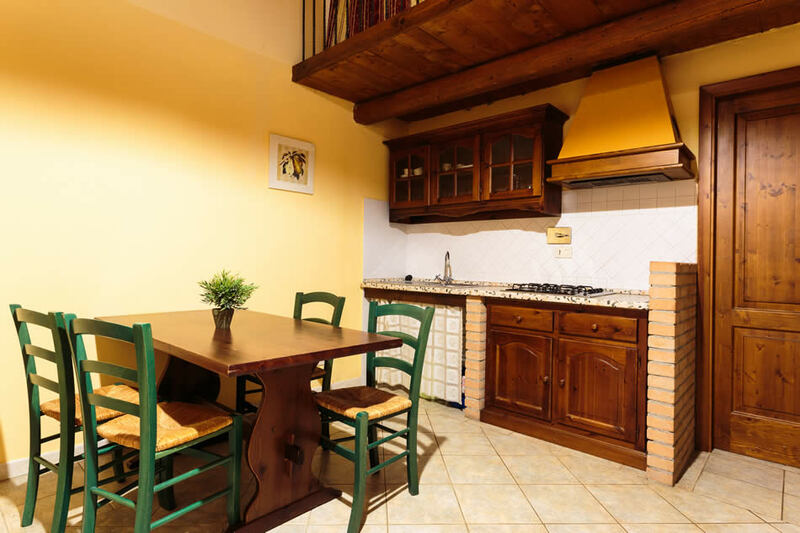 The two-room holiday apartment Falco is 40-48 sqm wide and can be arranged with 5 or 6 beds on a mezzanine level. 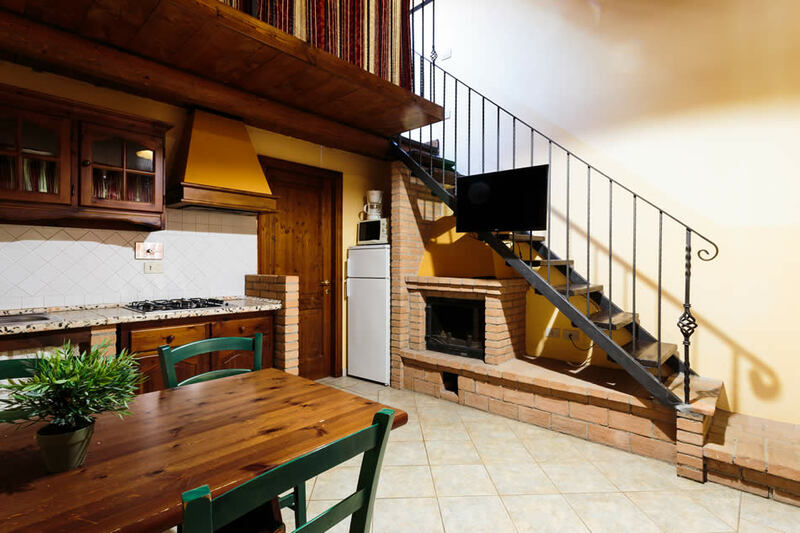 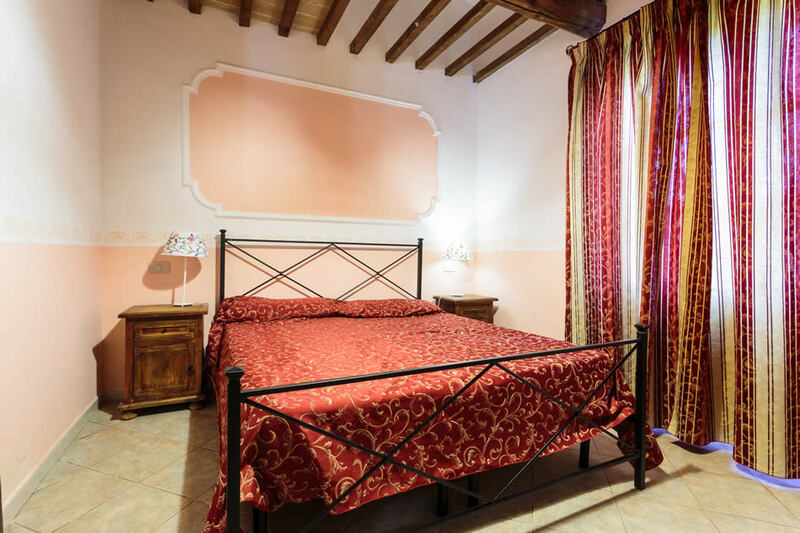 At our agritourism in Riparbella, Tuscany, you’ll find this apartment whose ground floor hosts a living room with chimney and kitchenette (with tv and microwave), a bathroom with shower and a master bedroom. 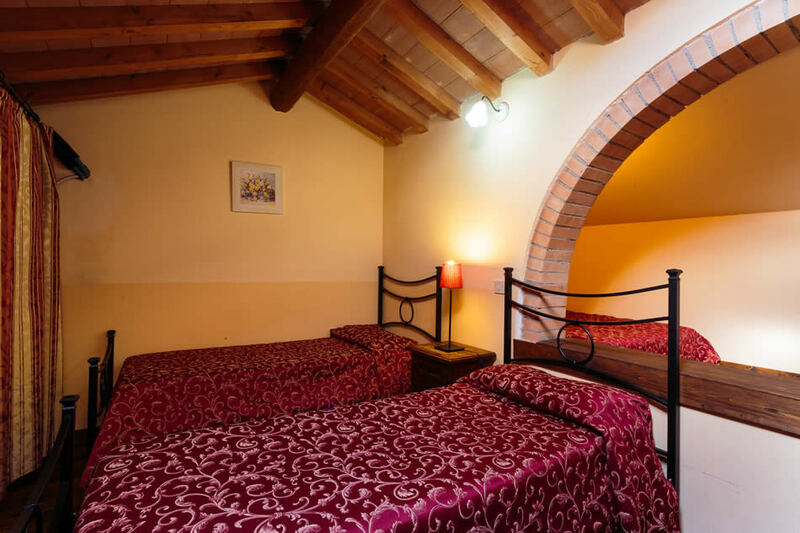 The mezzanine level features a second master bedroom with a double and a single bed. 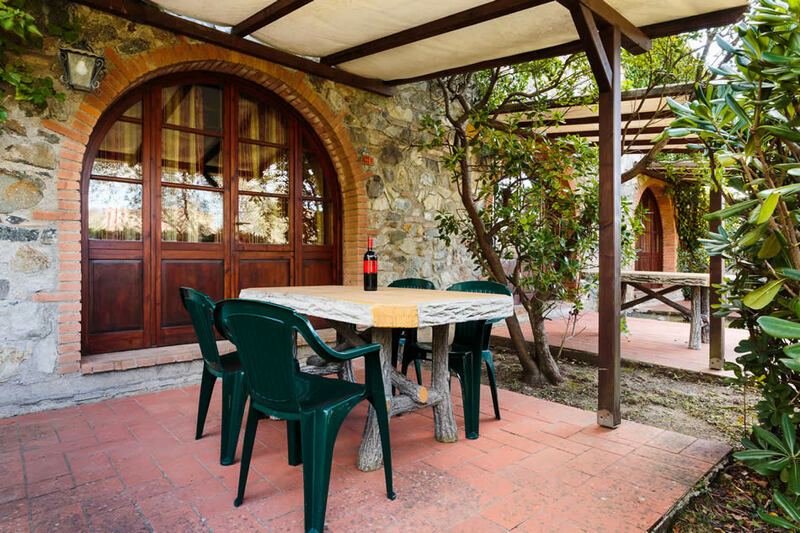 The outdoor area is equipped with table, chairs and a private bbq.